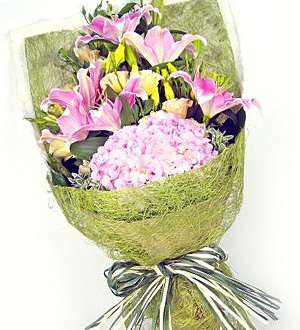 Stunning 2 large Hydrangea and Stargazer Lilies 5pcs elegantly wrapped with matching foliage to melt her heart. Only imported Grade A Hydrangeas are used for our arrangements. As Hydrangeas are seasonal, kindly allow us to confirm availability especially for out of Klang Valley deliveries. Accessories used and aesthetic may differ for outstation and last minute orders.